Mimosa Rocks BioBlitz was brilliant - the weather was lovely and everyone was enthusiastic and enjoyed numbers of surveys over the two days. The local residents of Tanja and surrounding area were very supportive and they enjoyed working with the expert naturalists and scientists to learn more about their place. Our final species total to date is 1,008 which is amazing and a first for Australia, so congratulations to everyone who helped make the event such a success. We had a great range of surveys on offer and most were full or almost full. 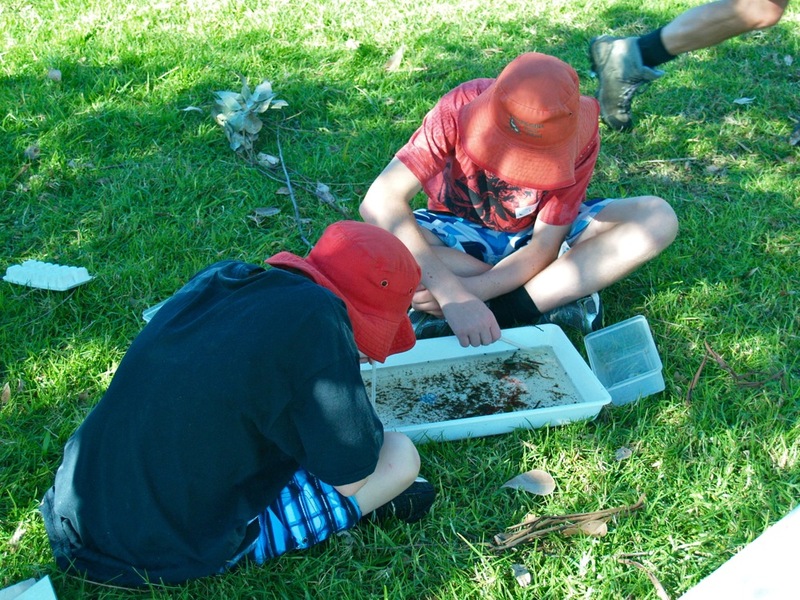 Our Key ecologist was Steve Sass who is an expert herpatologist and ornithologist, so there were lots of opportunities for everyone to learn about reptiles, amphibians and some of the rarer birds of Mimosa Rocks National Park. There were flora surveys of the northern habitats and shell surveys along each of the 14 beaches in the Park. Amy Harris led a great Shorebird survey, and covered all the beach and estuary nesting sites of our endangered shorebirds. There were be canoe surveys of the lagoons and dusk and night time surveys for possums, frogs and moths. We worked with a new data capture tool www.inaturalist.org . This allows participants to add sightings directly from a smartphone or iPad. Look for Mimosa Rocks Bioblitz under "Projects" to see what was added this way. These sightings are now also brought in to the Atlas of Living Australia which is where all our records are kept. Many many thanks to all our Survey Leaders - local naturalists and scientists and those who travelled from further afield to help us offer such a wide range of surveys. Thanks also to all our volunteers, technical, survey leader assistants, photographers and Basecamp helpers. A few of you are now immortalised in the first Australian Guide to Running a BioBlitz which was published in July 2015. Thank you to everyone who participated and helped to make the event such a success in all respects and to create the substantial species list which will be a baseline for further surveys in the future. We sincerely thank NPWS for partnering with us and ALA to run this BioBlitz to coincide with the World Parks Congress and we were pleased to welcome international visitors from Africa, Belgium, Canada and the US. We would also like to thank our caterers at Tanja Hall for their great food which kept us going from morning to night and the Australian Museum who loaned us several "Museums in a Box" which added so much to the Basecamp fun.